during league play or tournaments. Closing time may change based on participation. Saturday night starts after bowling for bucks. Some Friday night start times may be delayed or canceled due to Scratch Tournaments. Bowling shoes must be worn to bowl. Kids must be registered to participate. 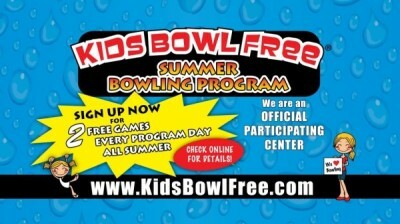 Click the image on left to visit the kidsbowlfree.com website for terms and conditions.